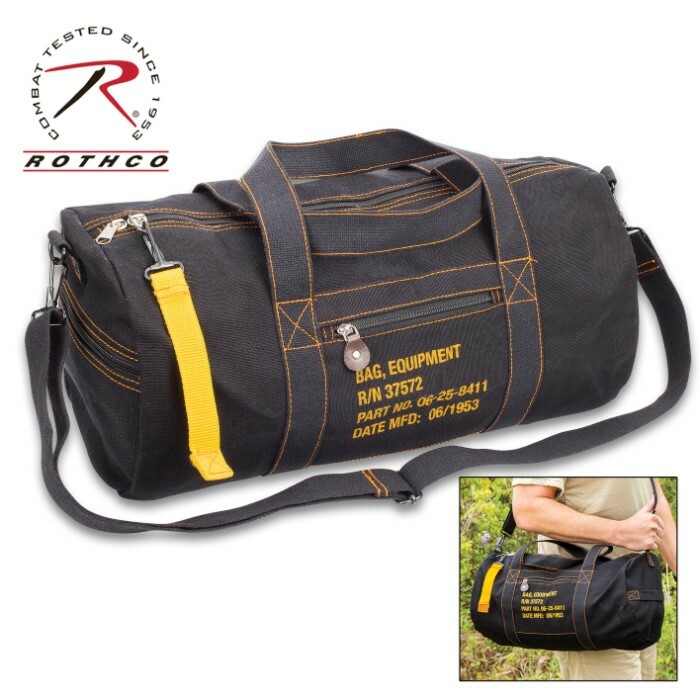 Rothco Black Canvas Equipment Bag - Heavyweight Cotton Canvas, Detachable Strap, Carry-On Handles, Yellow Contrast Thread | BUDK.com - Knives & Swords At The Lowest Prices! 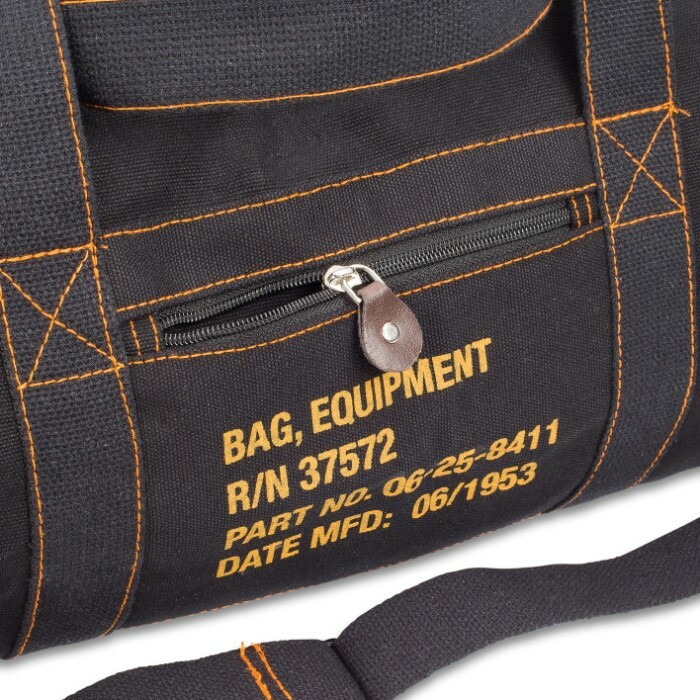 Rothco’s Black Canvas Equipment Bag features yellow contrast thread, a bright yellow pull and authentic looking print on the side, which gives it a vintage military flight bag look. 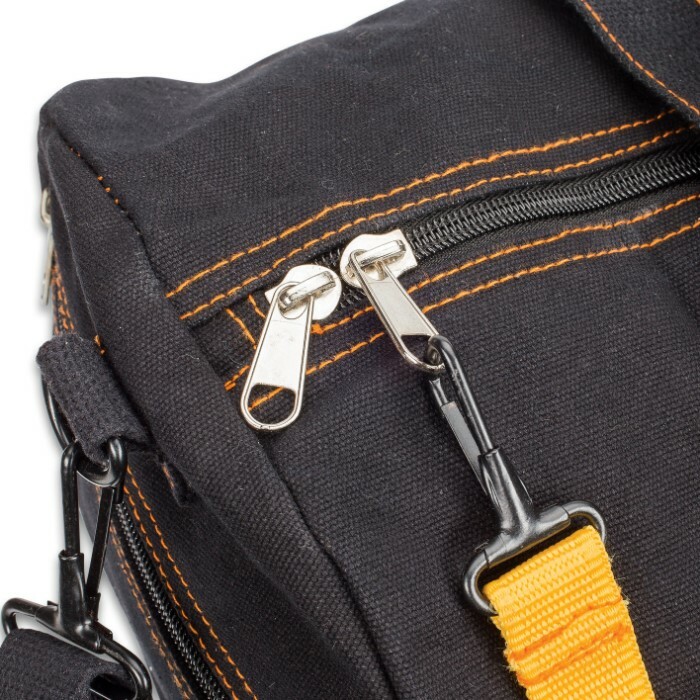 The shoulder bag is made of a durable, heavyweight cotton canvas and has a detachable and adjustable shoulder strap and web carry handles. 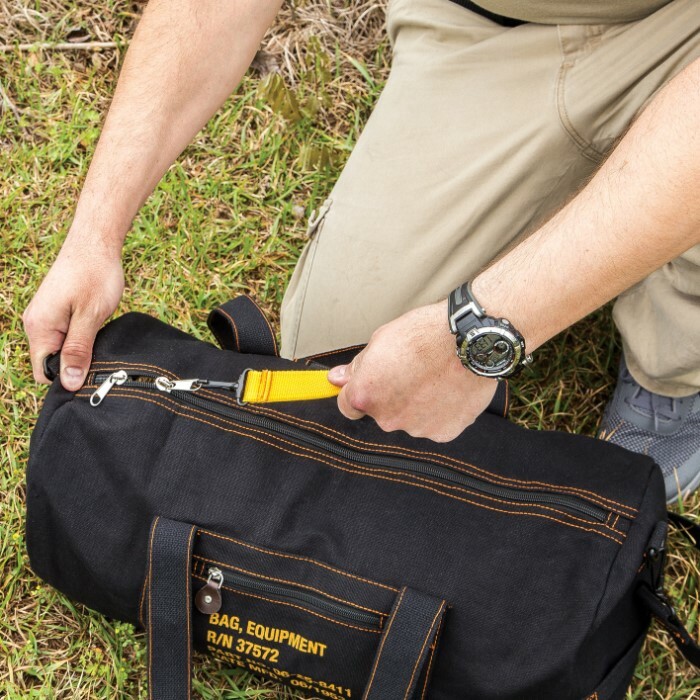 In addition, the bag features a front and rear pocket, perfect for storing small essential gear like your keys and wallet. 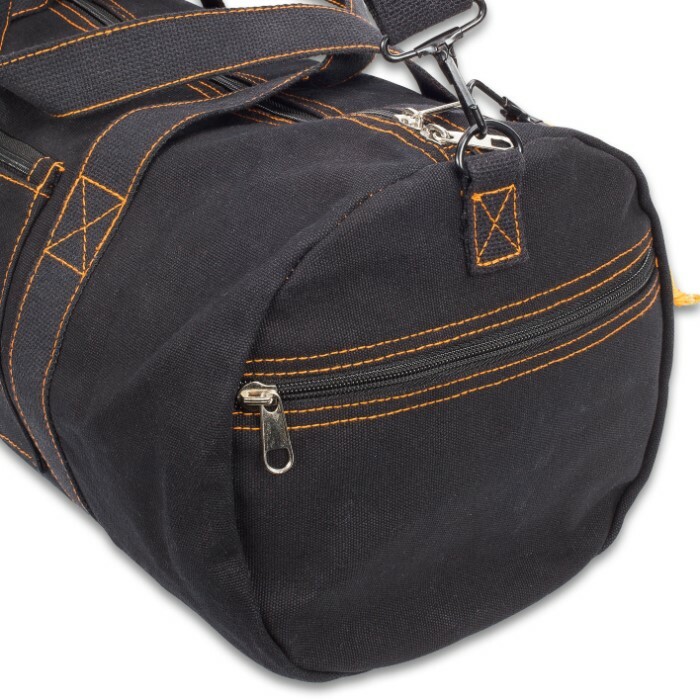 This vintage-look duffle bag is attractive and stylish, making it the perfect bag for travel or everyday use. I had my doubt's when I bought this bag, but when I got it I was really surprised at how well it is built. It is like the old bags of the past, it can hold a lot of stuff and is rugged. 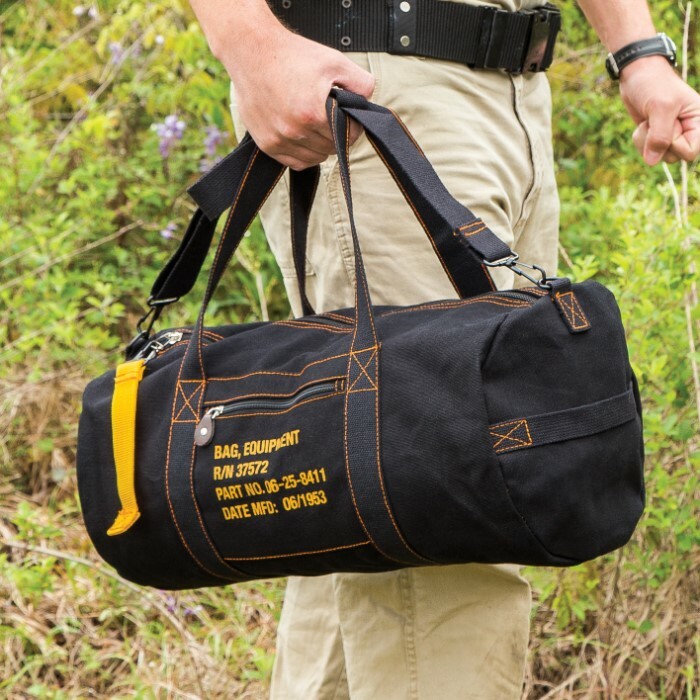 It's like the old oiled canvas bags we got in the military. I would recommend this product, because I am thing of ordering more.